My favorite snack will be toasts! Toast bread with melted salted butter, cheese, ham and just any other ingredient you can place on a toast bread! Another new toy to add to my kitchen collection. 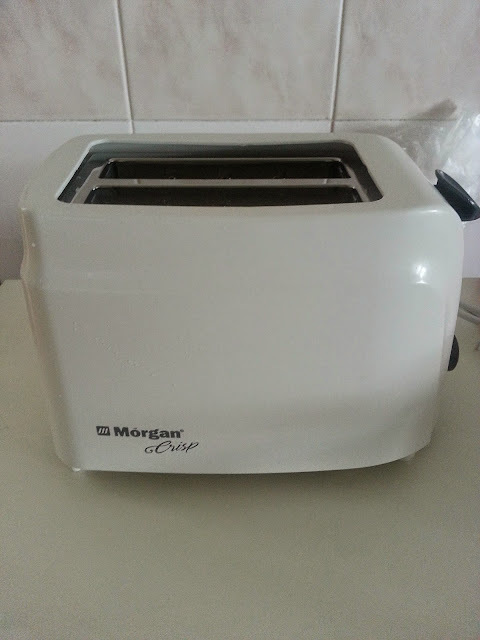 The Morgan Crisp bread toaster. Yes, I have a conventional oven at home but I still won't deny that I would love to have an electric oven (smaller sized) to quickly toast bread and sausages for a nice snack time meal, but my oven will do just fine. 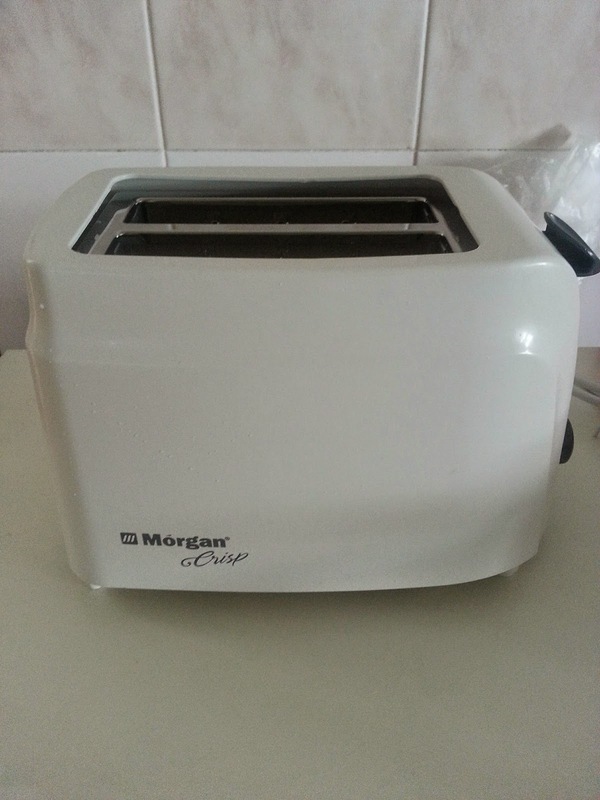 This toaster makes the perfect toast bread! 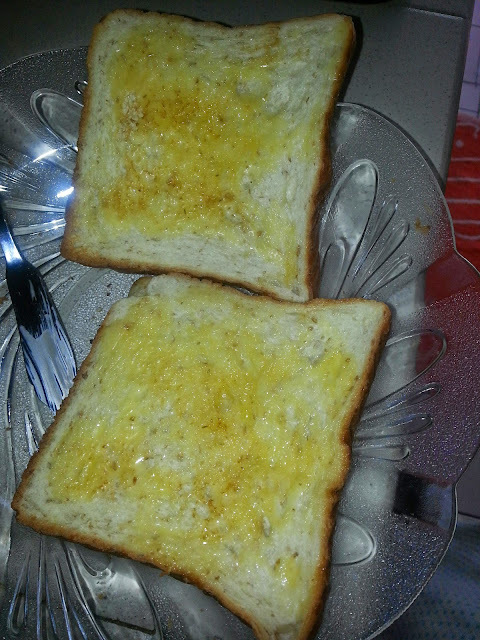 We can set the type of browning we would like on our toast and setting no.3 works the best for me! 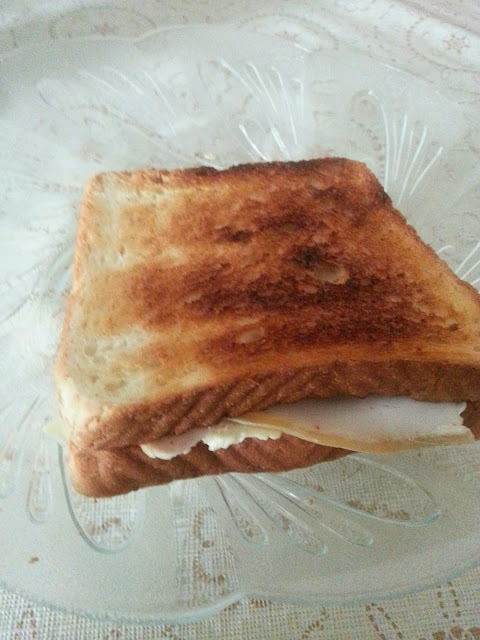 The fragrance of the toaster toasting the bread. Stunning! Applying butter on it makes it more mouth-watering and fun. Because the toast is still hot, when you place a piece of butter on the toast, watch it melt as you spread out the butter. That golden color! I go crazy over sandwiches, pls don't mind me. I might go "gaga" over making butter croissant next!